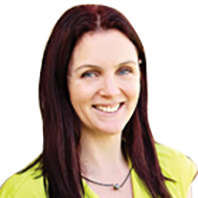 Cassandra commenced her real estate career in 2000 and is highly passionate about all things property management. With experience from reception and real estate software, to property management and state operations management, Cassandra has a comprehensive understanding of what makes an effective Property Manager. Cassandra holds qualifications in Business Management, Certificate IV in Training and Assessment and Diploma in Design and Development (Training). Above all Cassandra is a personable, organised and driven individual, who believes that training, self-improvement and communication are key to developing a fantastic team as well as achieving lifelong clients.